Treat your skin now! Pay Over time! Interest Free! Get what you want now and pay it off over 4 x fortnightly payments. Your order is processed and shipped as per our normal Express Post shipping policy. Add your items to your shopping bag, and checkout as normal. Valid for amounts up to $800. On the Payment step of checkout, select AfterPay as your payment method. Your order will be processed in the same super fast way as our other payment methods. If you are a new AfterPay customer the first payment will be made during checkout, with the remaining 3 payments fortnighly over the next 6 weeks. If you are an existing AfterPay customer the first payment will be deducted after 14 days with the final payment after 8 weeks. There is zero interest incurred on any outstanding balance. However if you fail to make a fortnightly payment, you will be charged a late payment fee of $10, with a further $7 Late Payment Fee added seven days after the payment is due if the payment is still unpaid. Time Out Beauty Shipping and Refund terms and conditions still apply with AfterPay. All orders delivered within Australia are sent with Australia Post Express Post service. You will be emailed a tracking number. Express post is FREE when you spend $49 AUD after any applicable discounts. Orders totalling under $49 AUD will be charged a shipping fee of $4.95 AUD. Orders placed by 1:00pm AEST (Australian Eastern Standard Time, or AEDT during Daylight Savings) on Monday to Friday will be dispatched the same day. If all items of your order are in stock then they will be dispatched the same day (see above for orders placed by 1:00pm) or next business day. Otherwise delivery of your order will take between 5-7 business days. Unattended Delivery Instructions: Entering unattended delivery instructions during checkout, will provide an authority to Australia Post to leave your parcel at the delivery address according to the instructions, without obtaining a signature when the delivery address is unattended. Therefore you will be responsible for any loss or damage to your parcel associated with your delivery instructions. Any items that remain unclaimed at the destination suburb post office, due to the customer not present when the delivery was made, and which are subsequently returned to Time Out Beauty, will incur an additional fee of $10 AUD to resend to the correct address. A seperate invoice for the fee will be provided. Any items that are returned to Time Out Beauty due to the customer providing an incorrect or incomplete address will incur an additional fee of $10 AUD to resend. A seperate invoice for the fee will be provided. If a request is made for a refund on any items that are returned to us due to the customer not present when the delivery is made then a fee of $10 will be deducted from any refund amount given to the customer. Time Out Beauty accepts no further responsibility for items marked as "Delivered" by Australia Post or our courier's online tracking system, unless these products are found to be faulty in which case faulty items are to be notified within 14 days (see Returns). There is a postage charge of $19.95 AUD for orders with a total of under $200 AUD. Free postage for orders with a total of $200 AUD or over. Please allow at least 10 business days for delivery of items in stock. Any items that remain unclaimed from the buyer's country postal service, due to the buyer not present when the delivery was made, and which are subsequently returned to Time Out Beauty, will incur an additional $19.95 AUD to resend. All orders are sent with Australia Post services. Orders up to $500 will be sent via Registered Post or by a Pack and Track service depending on the destination country. You will be sent an Identification number. For Registered Post, the identification number can usually be tracked on the destination country's postal service website. Tracking for these items is usually available once the item goes through customs at the destination country. Pack and Track services are traceable on the Australia Post website. Orders above $500 will be sent via Express Courier and a tracking number will be sent to you via email. Time Out Beauty is not responsible for any additional taxes, fees or duties which your country may levy on the purchase of these goods. The purchaser is responsible for the knowledge of any import laws in their own country. If you refuse to accept your parcel and it is returned to us, we will refund you after deducting a $19.95 AUD postage fee. Synergie Skin and Synergie Minerals products cannot be shipped outside Australia. Unopened goods may be returned within 14 days of delivery. Please email sales@timeoutbeauty.com.au of your intention to return your goods. Once products are received and confirmed as unopened you will be refunded for 100% of the purchase price of your returned goods. We are unable to refund any shipping costs you may have incurred on the sale. For International Customers who have earned FREE SHIPPING by spending greater than $200AUD, a fee of $19.95 will be deducted from your refund to cover our original shipping costs. Returns on opened goods will be accepted only if the goods are faulty. Please email sales@timeoutbeauty.com.au about any problem with your goods. Any faults must be reported to us within 7 days of delivery. Please enclose proof of your shipping cost to return the goods as this amount up to a value of $20 AUD will be refunded. Once goods have been received by Time Out Beauty then you will be refunded. All approved refunds are credited back to the customer via their PayPal Account or credit card which was used to purchase the products. Returns based on skin reactions. Photographic evidence of any skin reaction is required to be disclosed to us before any refund can be considered. Enter your enquiry in the form below. We will answer your question within 24 hours. 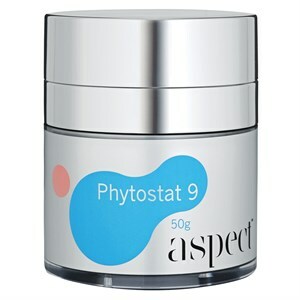 Aspect Fruit Enzyme Mask is a gentle exfoliating enzyme mask that helps lift dead skin from the surface. Ideal for all skin type including sensitive, reactive and problem skins. The skin is brightened, using natural extracts including Papain from Papaya, and Bromelain from Pineapple to desquamate dead skin cells. •Papain – Enzymes from the papaya fruit to desquamate dead skin cells. •Bromelain – Enzymes from the pineapple fruit to desquamate dead skin cells. •Aloe Vera - With a water content of 96%, it is known to hydrate, soothe and calm. •Kakadu Plum – An Australian native fruit known for its high antioxidant content, including Vitamin C, assists in reversing free radical damage. •Acai Berry – From the Amazon, this berry has the highest ORAC antioxidant value, and has proven effective anti-ageing properties.